Edinburgh, Scotland, United Kingdom . 27th February, 2018. 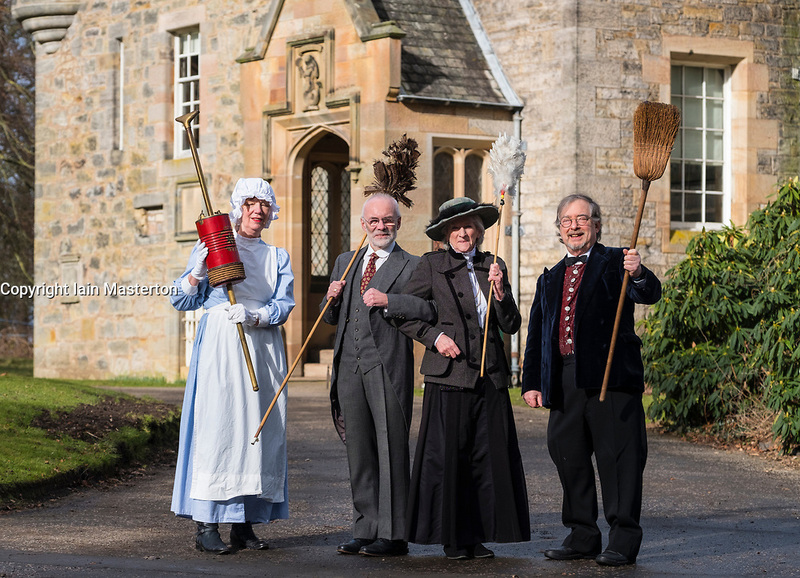 Volunteers wearing Edwardian costumes prepare to give Lauriston Castle in Edinburgh a Spring clean in preparation for the public opening later in the year. Pictured, Hilary Lovie, Chris Pearson, Linda MacDonald and Gordon Roberts.